'Sisters uncut' are organising nationwide protests highlighting the impact of cuts on domestic violence refuges and we as Unite housing workers have sent a message of support. Below we reproduce an article from their website. 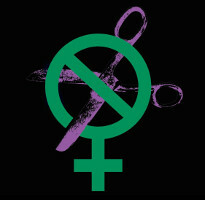 Sisters Uncut UK Day of Action! Theresa May’s £20 million funding announcement for domestic violence refuges is a sticking plaster over a haemorrhage. After 6 years of Tory cuts, the outlook for non-binary people and women trying to escape domestic violence is increasingly bleak, with survivors being trapped in violent homes by Tory policies. Support services have been decimated by austerity, and this comparatively tiny pot of money will not restore them. The £20 million is a short term fund covering just 2017-18. Services will be forced to bid for the centralised fund, pitting local services against each other and ensuring that larger, generic services are much more likely to win funds due to their resources. This fund will not reach the smaller, specialist refuge providers who desperately need it – especially culturally specific refuges that provide life saving support for women and non-binary people of colour. These are the providers who have already been hugely disadvantaged by the “competitive tendering” processes that local councils use to fund services. Theresa’s £20 million is not enough. It will not reach the services that need it most, and black, brown and migrant women will be blocked from accessing it. Black, brown and migrant women face a higher risk of domestic homicide. Hostile immigration control measures directly contribute to this by blocking survivors’ paths to safety. Hostile immigration controls, many of which were implemented by Theresa May as Home Secretary, make life infinitely more dangerous for migrant survivors of domestic violence. Just one example is the Immigration Bill 2014, which forced private landlords to run immigration checks on tenants, commonly known as the ‘right to rent’. This leaves undocumented migrants or those fleeing without their documents unable to access safe housing. Calling the police is simply not an option for many survivors of colour who risk racism and violence in response, and undocumented migrants face the additional risk of detention and deportation. Refuge spaces are funded through housing benefit, so migrant non-binary people and women with ‘no recourse to public funds’ (no access to state support) – a common restriction placed on migrants – have no access to refuges, social housing, benefits or healthcare. Survivors of colour are being disproportionately turned away from refuge services. Women’s Aid statistics show that 2 in 3 women who approach refuges for help are now being turned away. For BME women, that figure rises to 4 in 5. In this climate, specialist domestic violence services for women and non-binary people of colour are more vital than ever – but cuts and closures have left them in crisis. Specialist BME domestic violence services are independent, specialist and dedicated services run by and for the communities they seek to serve. Survivors report that they are more likely to access these services and feel safer with them. Research by Imkaan, the UK umbrella organisation for BME violence against women and girls services, found that 67% of BME VAWG organisations feel uncertain about their futures. Problems include uncertainty in funding, an unequal playing field when bidding against larger generic providers, and an increased demand for support that doesn’t match local authority funding. Services for Black survivors are often entirely absent, even within BME specialist services. These life saving services are having to fight for their own existence rather than supporting the survivors who need them. Theresa May claims she wants to end violence against women and girls. To do that we need an awful lot more than refuges. We need a long term, sustainable funding plan for all domestic violence services. We need universal access to benefits so survivors have the resources to escape, rather than policies like the benefit cap which are making it even harder when already 52% of survivors report that they can’t afford to leave. We need domestic violence support services for black and brown, disabled and LGBT+ survivors – a “one size fits all” generic approach might save money but it doesn’t meet needs. We need funding for outreach workers who are able to slowly build up survivors’ confidence over time and support survivors before the danger escalates, rather than a focus solely on crisis response. We need an end to gentrification and the devastating effects it has on communities; not all survivors want or are able to access support services, and it is their neighbours that provide their lifeline. And we must see the links between violent, racist government policies and the increased risk for black, brown, Muslim and migrant women experiencing domestic violence. We demand a secure, long term plan to support ALL domestic violence survivors, regardless of immigration status, with specialist services for black and brown, disabled and LGBT+ survivors. Take action with us in London, Bristol, Newcastle and Glasgow on 20th November.